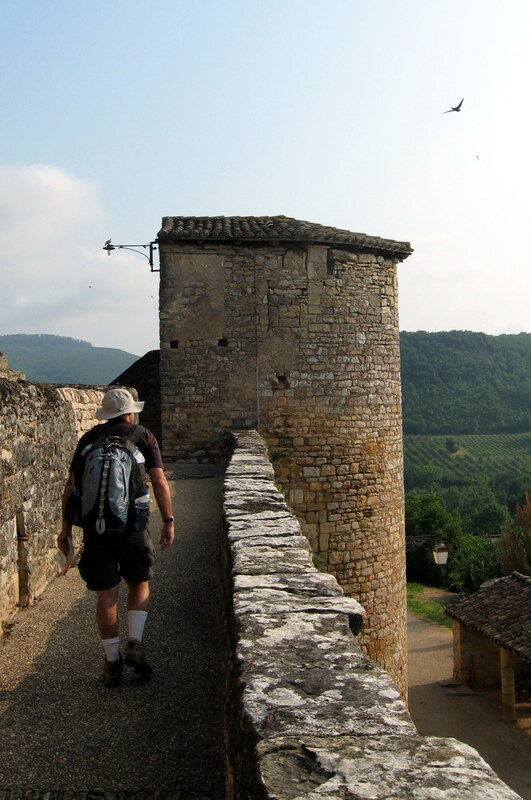 Saturday, July 3 – Walked from Puycelsi to Bruniguel, Hitchhiked to Montebaun – 12.5 kms. (of walking) | Say Mar Say! - C'est Marseille! « Sunday, July 4	– Train from Montebaun to Bayonne then Train to Urt – Walked 1 km. 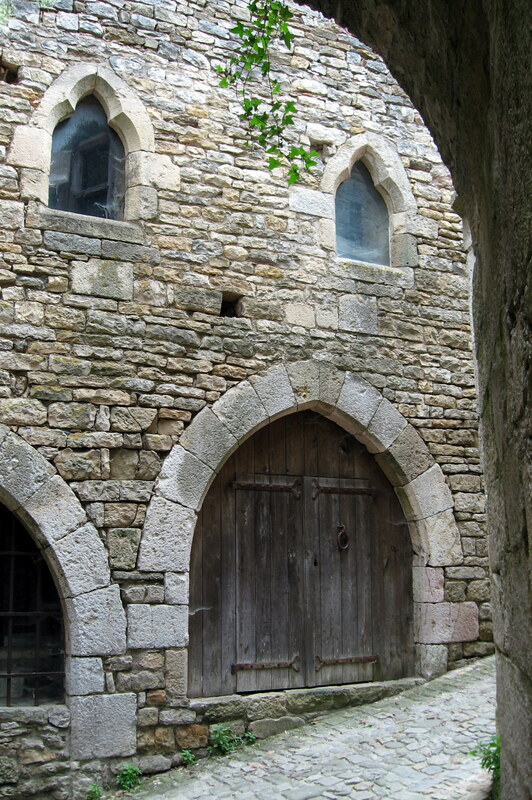 Pleasant walk to Bruniguel, a restored village, smaller than the others but sympa (pleasant). Picnicked in the park, boissons (drinks) in a café. Since there was no train and bus to where we wanted to go this evening (Montebaun), we asked the serveuse (female server) about possibilities. She offered to drive us after work! She also said that hitchhiking was usually doable. So finally I got Peggy to give it a try and she was game. It took two rides and one hour to go 31 kms to centre ville (center city) Montauban. First a soixante-huitarde (hippy from the 1968 French uprising) took us to a busier and better spot to get a second ride, which we did from the first car that passed. A nice retired English couple living part-time nearby picked us up on the way to a wedding. Went to the tourist office then a hotel at Place du Commerce. Walked to the gare and bought tix to Ult in Pays Basque then walked around town: lively and interesting. It’s a good sized city. Dinner in outside resto (abbreviation for restaurant) with a lot of French people enjoying themselves. 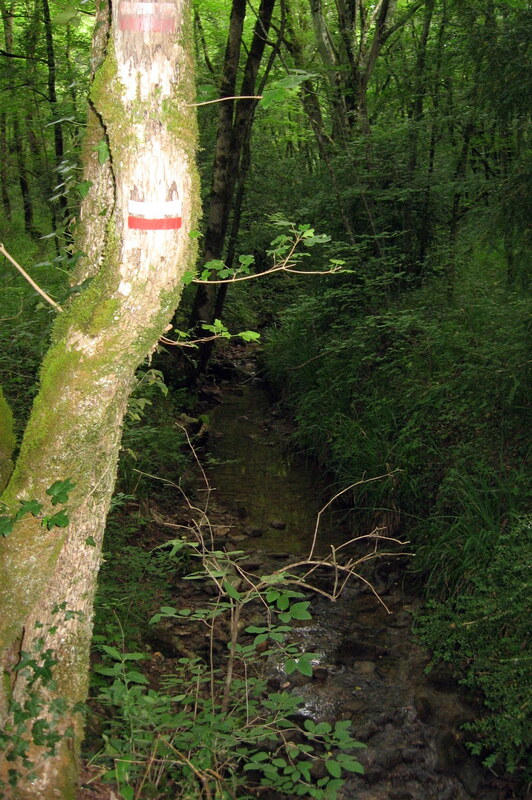 This entry was posted on February 7, 2013 at 10:00 am and is filed under Hiking In France. You can follow any responses to this entry through the RSS 2.0 feed. You can leave a response, or trackback from your own site.